James Franklin’s group is gearing up for Ohio State week. "He talked to the team about it (Monday). He's in great spirits. Mark's got a very bright future. He's going to be very successful whatever he chooses to do. He's talking a little bit about maybe getting into coaching. But we got a lot of love and respect for Mark and what he's been able to do in his career here. But you won't see Mark again this year playing on the field." "It's going to be a challenge but I think we're in a much different position than we've been in the past with our offensive line, not only from protecting our quarterback, but also more consistently being able to run the ball. Now obviously this is the first opponent we've played to this level, the type of talent that they have, the type of size and depth, one of probably the more talented rosters in the country, if not the most talented roster in the country. So this is going to be a different type of challenge, there's no doubt about that." "This is going to be a game where there's going to be very few balls caught where there's not someone hanging on you. This is going to be a game where there are going to be contested catches, and we're going to have to win our share of those contested catches on both sides of the ball. They are going to make plays, we're going to make plays. And we can't flinch. It's going to be that way for four quarters. But the details and the specifics and the fundamentals and the techniques, at the end of the day, that's what's going to win for you." "There is some value there for the coaches. There is some value for the players if we handled it the right way in the choices that we made when we got back here on Saturday. In terms of what we talked about with the players was a very specific plan of how we could use that extra time. We'll see that in (Tuesday's) practice and we'll see in this week's preparation if we were able to gain some of the advantage that we had in having a few more hours of prep." "I want the Ohio State fans and family members of the players that are coming to have a great experience. 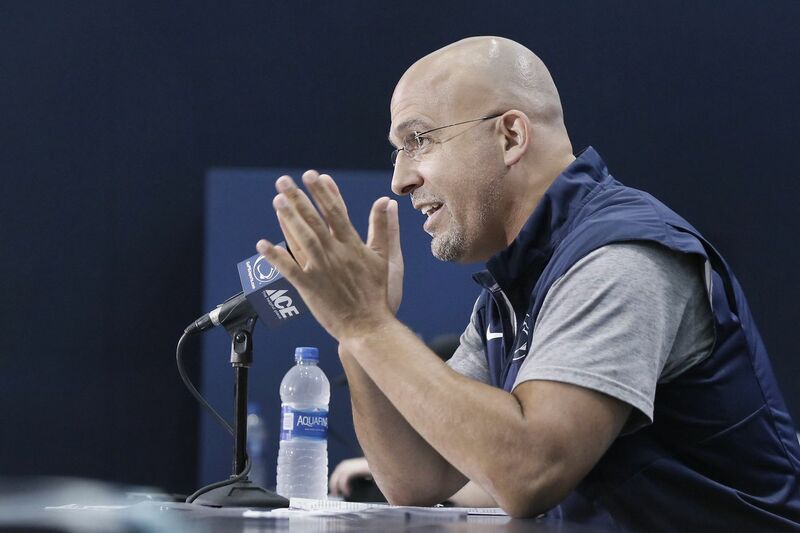 I want our fans to treat them extremely well, welcome them to Happy Valley … and I don't want anybody leaving not feeling that Penn State does everything in a first-class manner. But on the field, I want it to be the most difficult environment in the history of college football, and that is all 110,000 fans standing up, screaming, yelling, high-fiving your neighbor, going crazy and enjoying it."